Rockville, Md., September 17, 2014— PR News announced the winners and honorable mentions of its 2014 Platinum PR Awards at a packed luncheon of more than 300 professionals at the Grand Hyatt in New York City on September 16, 2014. The event celebrated the creativity, imagination, use of technology and teamwork of the year&apos;s most outstanding communicators and campaigns. 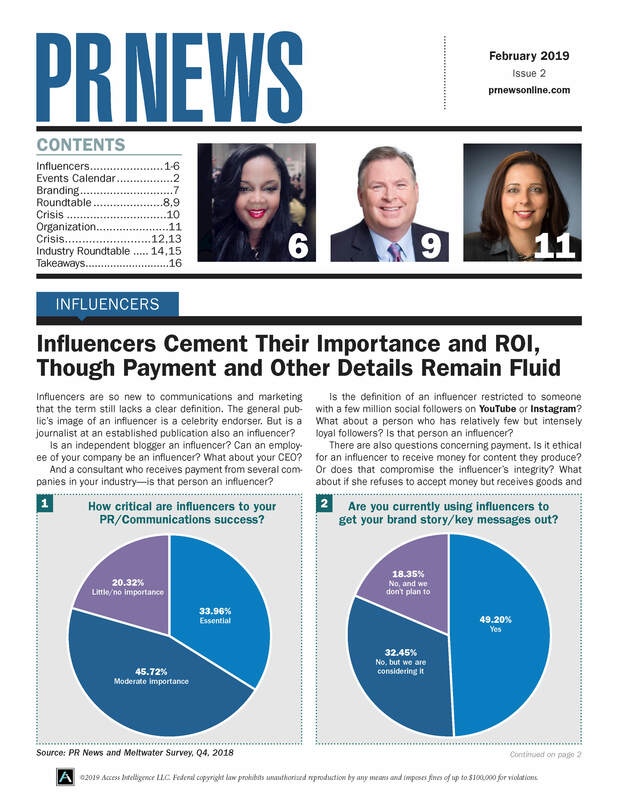 This year&apos;s inductees to PR News&apos; Platinum PR Hall of Fame were also announced, and included: AT&T, PEOPLE Magazine, Smithsonian National Zoo, Subway, Tourism Queensland, United States Marine Corps Reserve, USANA Health Sciences, and WWF. On hand to emcee the event was Ginger Zee, chief meteorologist of ABC&apos;s Good Morning America. Photos from the luncheon can be seen online here. View the complete list of Platinum winners, honorable mentions and Hall of Fame inductees. Among the Platinum PR winners were the Coca-Cola Company, Chipotle and Edelman, AAA, Coyne Public Relations, MWW Group, Henson Consulting, and MSLGroup. Keynoting the luncheon was Mark Burgess, co-author of "The Social Employee: How Great Companies Make Social Media Work." This year&apos;s Top Places to Work in PR were also recognized, honoring PR agencies and brands that foster creativity and professional growth for employees. The list of honorees included Ketchum, Finn Partners, Makovsky, Weber Shandwick, Eastwick, Allison + Partners, and more. View the full list of Top Places to Work in PR winners. For questions about the Platinum & Top Places to Work in PR Awards winners and honorable mentions, contact PR News’ Mary-Lou French at mfrench@accessintel.com. To order additional awards, fill out the form here and send by fax or email.